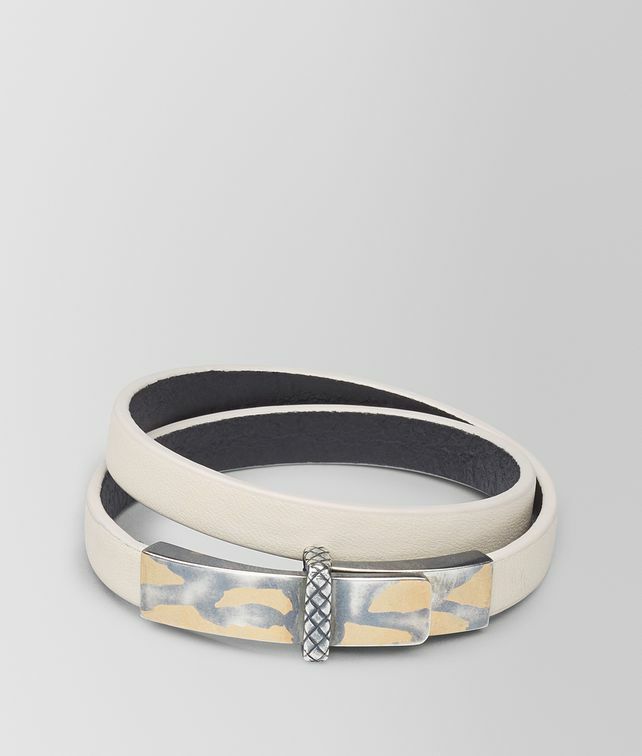 The simple wrap bracelet is refined in soft nappa leather. Its sterling silver panel achieves a distinctive finish through a process of oxidised silver, hand-painted in a 24-karat gold patina and brushed to a gradient effect. Its delicate bar detail is engraved with the iconic intrecciato motif, while a soft push at the bar will allow for easy release and fastening of the design. Length leather: 33.5 cm | 13.2"
Length silver: 4.7 cm | 1.9"